At Lehigh, we provide top quality full line of CNC lathes, manual machines and alloy wheel repair machines with competitive price. W e understand the critical role of the machine tool in today's industrial business. In order to keep your organization operational, productive and profitable, Lehigh offers practical technical solutions. We bring precision machines with reliability and exceptional value to machine shops and wheel repair shop nationally and worldwide. ​Our lathe machine products are specialized in large spindle hole turning machines on today's market. We set the highest standards in the machine tool equipment industry. Every machine in our product line includes wide range of accessories and we provide all replacement service parts. Lehigh quality and performance driven Hi-Tech rim refinishing CNC lathe machines are specially designed for professional wheel repair business. Our state-of-art alloy wheel straightener make bend rim repair easy and fast. All Lehigh rim repair machines meet the production needs of rapid growing rim repair industry. We are dedicated to work with our customers by providing top quality machines, excellent customer service, comprehensive training and effective technical support. Please contact us for any of your workshop needs.
" 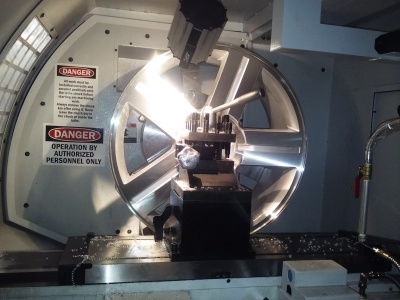 we are using Lehigh MR-2540 CNC lathes for doing continuous diamond cut wheel refinishing production work about 12,000 rims each year in our workshop. " We purchased our first Lehigh MR-2540 Diamond Cut Wheel Repair CNC lathe in 2013 and the second one in 2016. Both machines have been working perfectly since the first day. We never really experienced big problems. In meantime, we are using Lehigh MR-2540 CNC lathes for doing continuous diamond cut wheel refinishing production work about 12,000 rims each year in our workshop. The software is easy to use and when there is any questions, we can always count on the feedback and support from Lehigh company. ​ "The machining performance in a large machine shop like ours is very important to our productions thanks to Lehigh's machine quality, reliability and longevity. " There are seven (7) Lehigh lathes purchased by our company in last ten years, among which we have (5) Lehigh MB-33"x 120" or MB-33"x160" oil country lathes with 6" or 9" large spindle bores and double chuck system. We also have two small MA-2500 series high speed lathes. When it comes to obtaining quality replacement maintenance parts, Steven and his team from Lehigh Industrial Machinery, offers knowledgeable support of our various lathe models, to assist in obtaining the right replacement parts in a timely manner. Just as we’d expect from a quality machine company. When the time comes we will not hesitate to purchase another lathe from them, based on our positive experience. Lehigh Machinery and their staff are very knowledgeable and have always been there to answer any questions related to their rim repair products and services in a timely manner. We have a great working relationship and consider Lehigh one of our most valued partners in our alloy wheel repair business. "YOU ARE THE BEST OF BEST! The proof is in the pudding !" Lehigh alloy wheel repair machines are the best in quality and your customer service are also the best. I always feel that it’s so personal the service and the support I had from Lehigh company over eleven years. I feel Lehigh is more of a friend than a supplier. The proof is in the pudding as we say in UK. I didn’t only buy one machine but more than one and I will buy more because of the quality and the service I get from Lehigh. Thanks again for the best service anybody can dream of ! ​"We have diamond cut over 60,000 wheels and can give our warmest recommendation towards Lehigh alloy wheel repair equipment and quality service they provide." "I have not seen another wheel machine that has the speed and reliability of the Lehigh rim lathes." Lehigh is the industry leading supplier for CNC wheel refinishing machines in the wheel remanufacturing industry. After using their alloy wheel repair machines for over 10 years we know why. Lehigh rim lathe machines are very simple to use, easy to program and most importantly reliable. 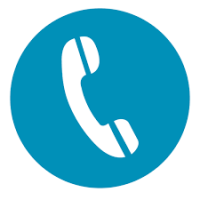 On the rare occurrence we do have an issue Steven is always a phone call away and offers his knowledge via phone support to help get us back and running asap. We have over 25 of their rim repair lathe machines in operation nationwide refinishing over 100 rims per day on each machine without hesitation. "This is the best diamond cut machine on the marke - easy to use and extremely reliable." "Both Rim CNC and wheel Straightener machines have been fantastic and could not live without them." Can't beleive its almost 7 years since purchasing both Lehigh rim repair CNC machine and wheel straightener. It was definitely the smartest thing I did to grow my business to where it is today. They are running all day everyday and never miss a beat. It is hard to find machines that are built of this quality in today's market and it's a credit to all team at Lehigh.